Rhiana Tehan has been studying Reiki since 2010. Rhiana loves Reiki, chakras, and crystal healing. Currently she teaches all levels of Usui Reiki Ryoho and Holy Fire Reiki. 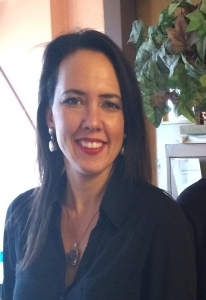 She provides healing sessions and Reiki Training, offering CEU’s, in Mukwonago, WI. She is a registered Holy Fire II Karuna Reiki Master Teacher through the ICRT (International Center of Reiki Training). 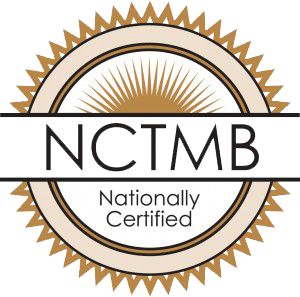 Rhiana also holds professional membership with the NCTMB, and the Muskego Chamber of Commerce and Women’s Business Connections. She earned a Bachelor of Arts degree from Alverno College and a Master of Science from the University of Milwaukee. Rhiana is available to teach Reiki to your business or group. Become a Certified Reiki Practitioner at the personal or professional level in as little as one day! I’m super excited to tell you that Reiki is fun and easy to learn and anybody can do it! Healing yourself and others with the power of your hands. Spending your days doing what you’ve been called to do at a soul level! Clearing away your inner conflict and expanding your peace, light, and love! Helping yourself, loved ones, and others with the natural, restorative, and peaceful energy of Reiki! Most of what I teach isn’t just about Reiki, it’s about how using Reiki energy in your life can transform you –to the best future you! Having experienced major transformation in my life with the infinite healing powers of Reiki, I share my story of how Reiki can truly help you, along with comprehensive training and ongoing support after class is over! Everybody comes to Reiki for his or her own reasons, that is what I love about it. It’s a perfect modality for you, it’s already there inside of you, just waiting to be activated right now! Or you’re just looking for that “one thing” to help where you are at . . . I often hear from students that they know the body has the power to heal itself they just don’t know how or what to do. Taking a Reiki class is a superb way to connect with your life force energy for authentic awakening and natural healing. Reiki Can Help you . . 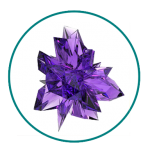 In just one day, you receive the gift of Reiki energy permanently for levels I, II, and III. Reiki Master Teacher training is 2.5 days and Karuna Master is 3 days. Think about how a natural healing energy inside of you can help you RECONNECT with the real you. Imagine who you want to be in old age, Reiki will lead you to your highest good and best future self. It is my mission to spread the light and love of Reiki through comprehensive and compassionate Reiki Training and treatments.I can’t wait to be your guide and mentor on your journey as you tap into your healing ability. Everyone has it, but are you going to use it and activate it? Classes of all levels offered monthly. Contact me to register for a class. Private classes available for your group or business.